As many of you know, when I started the year, I set some annual goals for my business. I think its very important to set goals both to help you think about where your focus should be, but also to work towards something that can bring financial or personal success. The goals that I have shared on my blog here are all business goals. I've also set many other personal goals that I have not discussed at all here. As part of the goal process, I wanted to report monthly on how those goals were going. You may have noticed that I missed my report from last month. However, I'm back this month and am still working to achieve the goals that I originally set out to accomplish. So, lets jump right into it! I have completed one public niche site project for the year already! As you may know, I built the site BestSurvivalKnifeGuide.com publicly and have revealed every step of the process right here. The site has done amazingly well…and I TRULY hope that you have received value from that case study. As revealed, the site earned $474.76 last month. Awesome. 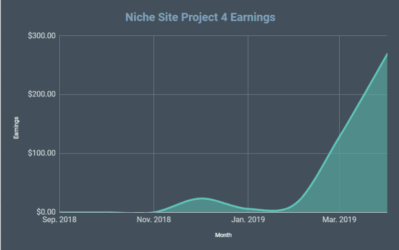 I will continue to provide progress on this site and share earnings, but the “hard part” of this niche site case study is complete. However, my original goal was to share TWO public niche sites! So, perhaps its time to start thinking about round 2. I could certainly participate in Pat Flynn's Niche Site Duel 2.0, as the timing is just right. Or I could do another site on my own. What are you thoughts on the subject? And what would you like to see me do differently if I do a second public niche site? Still no progress on this yet. Any suggestions on what this “Niche Pursuit” should be? The total unique visitors in 2012 was approximately 200k for 2012. So, to hit 400k unique visitors in 2013, I should be getting about 33k unique visitors per month. 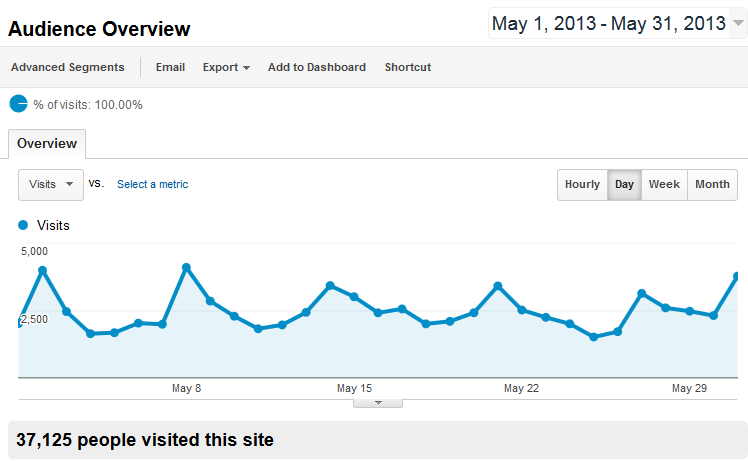 In May, I had 37,125 UNIQUE visitors to my blog! This means I am at my goal level of traffic…woohoo! However, in order to hit my ANNUAL goal I will need to continue increasing the amount of traffic to my blog. I need 400k visits and so need to make up for the lower traffic months at the beginning of the year. Through the end of May, I had 126,768 unique visitors; and I needed to be at 165k after 5 months. So, I'm getting very close to where I want to be. 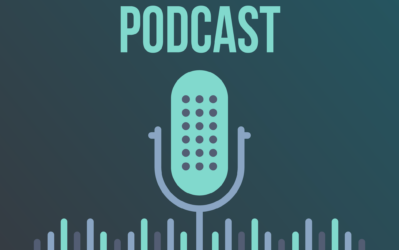 I saw a nice boost in referral traffic from the Smart Passive Income Blog where I was interviewed for Pat Flynn's podcast and had a few other mentions last month. Thanks Pat! Last year, I only made approximately $9,000 from affiliate sales from NichePursuits.com. I've never tried real hard to sell affiliate products here, and don't plan on adding to much more advertising. 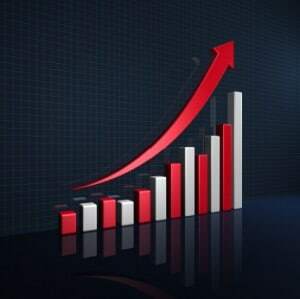 However, because my traffic has increased, I've seen a nice uptick in affiliate sales as well. Through the end of May, I am at approximately $7,000 in affiliate commissions from my blog. I have a good shot of actually hitting this goal as well. I also don't reveal the total income I make from my niche websites. But to be clear, I make much more from niche websites than I do from the affiliate commissions I just revealed above. I have only revealed the income made from my public niche site, but I have a couple hundred OTHER sites that I also own. Some of these sites make more than my public niche site, and some make less. So, while I understand its not as exciting to just hear percentages; I am simply going to state that my total niche site income is UP about 20% so far this year. So, I am far from accomplishing my goal, but I am headed in the right direction. I haven't built as many sites as I had hoped, as I am spending more and more time with other parts of my business…and other projects that I haven't discussed here. HOWEVER, I have just started looking for another full-time virtual assistant that I hope to hire soon. This new VA will be responsible for growing my niche site business; according to my instructions. I'll give more details on this once I actually have someone hired and they are up and running. I didn't quite finish my book during May, but I DID read 2 books in April, so I still feel somewhat vindicated on this one :). One of the books I read in April was: Platform: Get Noticed in a Noisy World by Michael Hyatt. I'm going to be honest here, and simply say that I did not find the book very memorable. The information is good, but is nothing new for someone that already blogs, knows how to use Twitter, and overall understands social media. (Probably everyone reading this blog). Let me be clear, the information provided is good in the book, and so are the tips. But its so general, that I did not find anything that I couldn't have found by reading a few blog posts. In fact, many of the chapters felt like a short blog post that Michael just re-purposed for his book. And to clarify, Michael's blog posts don't tend to be very in-depth – he mentions specifically that he doesn't try to go over 500 words. So, the book was about the same. You got a lot of interesting sound bites, but nothing you could really chew on. The book is primarily written for authors or those trying to become a speaker for conferences, etc. The gist of the book was to create a great product, create a blog, create a twitter following, and build your potential audience. A large portion of the book was dedicated to how to start a blog (not very detailed), how to write blog posts quicker, how to deal with comments, explaining twitter, how to tweet, and how to get followers. It was mostly all very big picture stuff, and I don't think people that already have a blog or a Twitter account would find much new information. Was the book well-written? Yes. Did the book provide useful information? Yes – but mostly only if you don't have a blog or Twitter account. Would I recommend this book to others? No. I was actually expecting a MUCH better book based on the rave reviews I saw on Amazon. But as I did more research, I started to understand better. Michael Hyatt already had a HUGE following long before he published this book. So, it didn't matter so much what he published, it would have sold well (because of his following). But I still figured, well he built a HUGE blog following and a HUGE Twitter following, so he much have done something amazing, right? Well, even that is somewhat deceiving. As it turns out, Michael was actually the CEO of a publishing company called Thomas Nelson Publishers. When he was CEO a number of years ago, he started a blog to keep his employees informed. So, IMMEDIATELY by virtue of being CEO of the company, he had thousands of employees reading his blog. So, his growth wasn't organic. He was CEO and the employees read his blog. Not a real inspiring story. He continues to maintain that blog and it has obviously grown, but it was already huge from day 1. The same can basically be said for his Twitter following. Michael was already “someone” before he started blogging or tweeting. Now there's nothing wrong with this. But he wrote this book to teach people how to make a name for themselves. So, anyone starting a blog or just starting with a Twitter account will probably not see the same success that Michael saw (we don't all have thousands of employees that we can immediately tap in to). For “normal” people, we will need to do much more work than what is explained in his book. Overall, I'm happy with how my the month of May turned out! I've seen some great growth on my blog here, and made significant progress on my other goals as listed. However, I also see that I have some work to do. In particular, I need to start a second public niche site project soon, and I also need to start a “niche pursuit” (small business project). I hope to start the ball rolling on possibly both of these in the next month or so. Expect to see some blog posts on these in the near future. If you have any suggestions for either my next niche site project and a different small business idea, I would love to hear from you in the comments. And if you have any other comments, questions, or points of discussion, please let me know below. Good shooting Spencer! It’s great to see your hard work paying off. Regarding the next public niche site, can you try an adsense one. We got all the information on how to go for amazon associates. It would be awesome to follow a similar kind of experience for adsense sites. Just a suggestion. This is an awesome idea! I think other types of monetization would have the greater value in your second niche site project. I highly recommend you get out there, use LTP combined with Amazon and look up for some of the most expensive products… in whatever niche category you want. I think that would be pretty interesting. I agree that a higher end item has bigger potential…I will definitely consider this. Agree with the above. 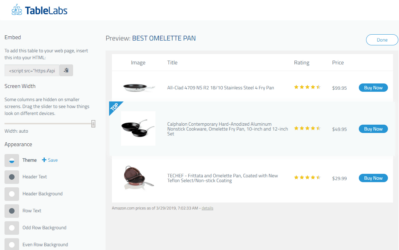 I’m currently making my second phase of Amazon sites and I’m focusing on home and garden and using plenty of the things I learned from your public niche site, even down to trying TablePress for the first time for comparisons. Competition can be hard but I’m already seeing ranks and traffic after two weeks with no external SEO, just my own quality content. As per a comment above I’d also like to see something with AdSense involved although I know that it’s yesterday’s news among some people. The reason for that is that with higher ticket items like what I’m dealing with now I often include AdSense too, but only on the information articles. Sometimes it may get me a $1 click rather than a $15-$50 commission, but more expensive items have fewer buyers in general and I’m experimenting with the idea that a $1 click is better than nothing at all. As I say, it’s still an experiment with some sites doing it and some not. Anyway, this is my first ever comment here at Niche Pursuits and I’m a big believer in goal setting, so all the best with yours Spencer! I think it could be an interesting idea. I wonder how hard that would be in comparison to your regular type of sites. I know 3d tvs are big right now. Something like that could be interesting. I think the hard part might be determining a potential keyword in that kind of niche. I know it’s possible. It might just take some more digging than usual. Who knows? I think each monetizing method has its own rule and we just need to focus on one approach for a single site. Nice progress on your goals Spencer. I’d definitely be interested in reading about you participating in Pat Flynns NSD 2.0! No, I have a couple of dozen different ip addresses/hosts. thanks a lot for sharing all this information. You really inspired me to grow my own blog. I would love to see another public project from you. Pretty link is a free wordpress plugin that shortens URLs (that I use). And there are tons of other free general URL shorteners. I personally don’t see a good business opportunity in URL shorteners. I was using Pretty Link Lite and was informed that it no longer works for cloaking / shortening affiliate links. Is this true? I’ve switched to Simple URL but I don’t know if that is much better. What is your recommendation for affiliate links? I still use pretty link lite for affiliate links – never had any issues. Thanks. Have you updated the plugin? I read that the updated version is the one that no longer works with affiliate links but that may have been an urban legend. Anyway, thank you so much for putting out all of this valuable information, I’ve learned a lot and have actually been seeing some success myself! It would be AWESOME to see you in Niche Site Duel 2.0! I’ve come to know Niche Pursuits through SPI so I am a huge fan of Pat and I will be participating in it too! Your expertise and insights will be most valuable and will be a excellent “competition” to the duel to keep us motivated and accountable! I’ve bought the Point Blank SEO through your link and I can’t wait to put all that in practice! I will give you some feedback once I start with my niche site which have something to do with survival knifes so be waiting for some referrals! See ya man, sorry for the long one! Thanks Rodolfo! I would wait to actually have a niche picked out and domain purchased before you worry about the Niche Website Theme. Awesome job Spencer! Pretty impressive how you are able to have so many websites… even if the legwork is already done on all/most of them. Thanks for all the hard work and information you put into this site! I think we’ve seen a lot of micro niche or niche sites being made with Pats, yours and a few others. I would be interested in affiliate marketing other than Amazon of course maybe good Clickbank products or a site monetized with your own products. I have a good niche for you. I pursued ut before but im just too lazy to do it. Nails. Women buy crazy amounts if stuff for nails online and there is no competition or very little. Its a niche very few guys pursue and it seems aff marketing is dominated by guys. I wrote 5 very small pists on this subject and still make 100 bucks a month today a yeay later. Check what the search volume is for the language you want to target, and go for it. I’m from Brazil if you need any help man! You mentioned having 100+ niche sites. Do you have many sites on the same adsense account? Or you use other monetization? Do you think it’s same to have many websites with one adsense account? You can only have one adsense account, so yes, they are on the same adsense account. Each business entity can also have just 1 adsense account…(which I have). What do you do to make sure that you meet Google quality guidelines despite having so many sites? I would love to know! You should write an article on that! Or a click bank product. Thanks for the feedback Steve. I will likely have do a full post discussing different ideas. The VA job is higher end – some writing, editing, and more. While it would be interesting to see a new niche site project using Adsense, I highly doubt Spencer would put his Adsense account(s) at risk. And make no mistake, it would be a very high risk. For your next site i would like to see you using one of the affiliates that you promote. I would like to see you make a site using EasyAzon only with no extra content just to see how well you can rank, then add unique content and then see how well you rank. Interesting, okay – I can consider this. Dude, I would love to see you participate in Pat’s niche site duel and blog about it here. Great goals btw. I bet it really helps prevent your time from just slipping away unnoticed. I will have to write down my goals to keep on track, too. I would love to watch you and Pat in the Niche Site Duel. I have learned a lot from both of you. Spencer, thanks so much for the information. I’ve really been enjoying using Long Tail Pro Platinum. Here’s a thought on upcoming project(s): Have you ever thought of walking a student through a niche website building process and writing about their progress? Perhaps recording some Skype sessions talking through content ideas, etc? I really enjoy listening to experts like yourself explain what you do, but it would be really interesting to see you acting as a mentor to someone and see the progress. I think it would be a hit with your audience. That’s a great idea…thanks Joey! (Not sure if it will happen, but will consider). I like this idea. It would be unique. This is my favorite suggestion; the hardest challenge at this point may not be to prove that you (Spencer) can do it, but that you can raise a newbie to success. What other books have you read, that you would recommend? I would also like to see you do another Niche website, however, getting more into the back-linking and back linking juice side of the website. I would like to see a new monetization method used that you haven’t already built a site on. I see a lot of people requesting adsense but you’ve already done that in long tail classroom and the new site targets amazon. Maybe try something that is not well known and see if its possible to make money with it. It would be cool to see something that isn’t normally used become successful. Honestly though I have no suggestions as to what it could be. I also like the high ticket amazon items idea. That would be interesting to see the impact you could make. I’m sure adsense is in spanish as well. And SEO is same for spanish as well. Awesome report! I know how much work it can be to put all of the numbers together…we just finished our report for May as well. Thank you so much for keeping us updated! 1. Curated Site – Pull content (videos, audio, posts, etc.) from other sites around a particular niche, add your own unique content, and blend it together from some of the best sources in the niche. I’d like to see your approach to either of those types of sites…I’m sure you’d have some interesting insights! I would be keen to see you jump in and compete in Pat Flynn’s Niche site challenge, for me it will make the whole experience more fun, regardless of what site you’re doing.I think seeing the guys that have perfected this kind of business model, doing their thing will be a great inspiration, so you have a thumbs up from me. Nice progress Spencer. I would like to share some thoughts regarding new “niche pursuits”- The idea is to make money from information products. Everyday we get a lot of emails from the marketers about new product launch. So It would be great to see if you create a new info product (it doesn’t have to be in IM niche) and then drive traffic to that page, capture leads or sell the product etc. This is something that is really challenging and don’t have much information in public. I don’t know if you would be interested in doing something like this. But these niche site studies are well spread and many people are doing it. So I think this would be a good move in the business ! For your next public site I would like to see an e-Commerce project, maybe a drop shipping product. Thank you, as usual, for sharing all of this information with us, Spencer. One thing I would really like you to focus on with your next niche site is the exact process you go through to choose a niche and why you choose it. That would be really helpful to me. 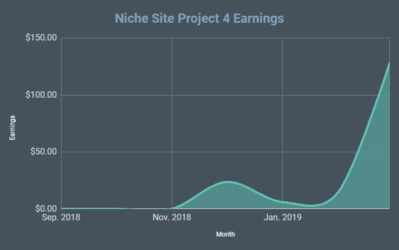 I’d like to see the second niche site monetized differently – and it would be more exciting if the case study was carried out in conjuction with NSD 2.0. I’m just eagerly awaiting for whatever direction you take with your second site. I’ve found the information extremely helpful in cutting through the ‘mysteries’ of SEO. However, with this second project it would be helpful to me (and possibly many other beginners) if the seo and back linking explanations could be spelled out in a bit more of a beginner user friendly format. In other words a bit more of a simpler format or formula. Maybe an explanation in the way of a daily linking action plan. Thanks heaps so far though. I went to sign up for an adsense account but was denied because my email was tied to a previous business that still has a relationship. I had them take me off. Think I should have my wife sign up using her email and a different site of mine or try again? Hard to get in touch with anyone / help from Google? I would apply using a different email address is all then. Thanks really appreciate the answer. I would really want to know how much you make from Longtail pro software. If Pat could make like $10,000 last month from your software, I believe you made more than $30,000 from the software. But hey, you are doing hell of a good job. Your biggest accomplishment is your incredibly engaged readers and commenters. Here’s to more success in the future! You have great goals and I wish you achieve them as soon as possible. Just one thought to the public niche site. You completed your first public niche site with a product oriented site and I learned a lot from this great process. I am wondering if you will consider building another niche site with non-product oriented, such as a method to solve a problem, e.g. how to quit smoking. As I really want to learn how to monetize a site without using popular services like Google Adsense and Amazon Affiliate. It’s so inspiring to see your progress towards your goals, and the success of the niche site, congrats! I’ve been learning the ropes and following your example, watching the long-tail classroom movies and delighted to hear you’ve got another public project to come. I think you should definitely enter Pat Flynn’s Niche Site Duel 2.0. Not least as the expert authority on Long Tail Pro! Every project has its unique challenges, and it will be fantastic to compare the techniques employed by you, Pat and the rest of the community in attempting to achieve another successful “duel”. Thanks again for sharing your knowledge and expertise on this site, and in the Long Tail Pro classroom. p.s. How about a triathlon for your new personal goal? Hmmm…I’ve run a few sprint triathlons, but its been a couple of years. I’m actually running the Wasatch Back Ragnar Relay next weekend though (Google it, if you want to know what it is). So, I’m staying in pretty decent running shape at least. You mentioned that you have a couple of dozen ip/hosts. Does that mean you open a number of accounts with one host or use different companies? 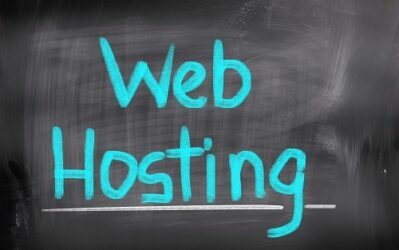 Aside from bluehost, which other hosts do you deem useful? And how many sites do you recommend placing per host at most so as not to “put all your eggs in one basket”? Most of them are with different hosting companies. I do have a few accounts with Bluehost; but then I have several more with other companies completely. Around 20 to 30 is the maximum I suggest…but you can certainly go higher. Can you explain why this is necessary? At $10 a month for hosting it can add up with 20 different accounts! Yes, for $5 a month, you can host 100 different sites. I like to keep projects separate to be “safe”. Also, if you use expired domains, you would want to only link from different IP addresses (hosting accounts). 1. FIGHT! FIGHT! FIGHT! You gotta do the duel, man! I would love to see NSP2 be something green, like something having to do with solar or wind power or something. could actually go hand in hand with Goal #2 as well, possibly. But if it’s related to a niche pursuit, then maybe it shouldn’t be a live case study. Hm. 2. Something green? But what would that look like? You could invest in stocks in that sector, but I think you’re wanting to start a business, so…? 3. That’s awesome, Spencer. You probably just need to keep doing what you’re doing, and you’ll come in right on target. 6. Man, I used to devour non-fiction books, but I haven’t read a book in ages. Maybe I need to start again too. My friend Pat just finished “Choose Yourself” by James Altucher and said it was really good. Have you read any of that guy’s stuff? thanks for the feedback Chris! I have not read anything by James Altucher…I’ll have to check it out. Before reading your blog and especially the best survival knife guide walk through, which is packed with action, I didn’t really know the mechanics/intricacies for advancing your blog. So thank you very much for sharing this. I hope I can take what I’ve learnt to achieve my business goal. Sounds like you are doing really good Spencer, I’m looking forward to seeing your next public niche site get started. I’m starting my next site as we speak, following along with Pat Flynn’s NSD 2.0. Following you on niche site duel 2.0 would be a lot of fun. I also like the idea of seeing you rank an ecommerce site. You inspired me to be more specific about my goals! It is difficult promoting low ticket item as much as high ticket item. Why not promote high ticket item for the same amount of work but bigger reward. I’d like to add some suggestions for your next projects, as I’d really like to see you tackle some of these. – What was your biggest hurdle/painpoint when building your knifes site? Hope this can inspire you in some way! Thanks for the suggestions Alain! I would like you to pick up a keyword that is hard to rank i.e. health, finance, games related keyword OR a travel blog. I have a idea about a niche pursuit but its not something which make you lot of money (it will make small money but can help a lot of needy people) its kind of a social cause. BTW i am interested to become a VA for you, let me know if you are interested, i will share more details, IMO i am the perfect person to join you as a VA.
eagerly waiting for working with you. I don’t do difficult keywords…that’s the whole point. Sorry, won’t be tackling a big keyword like that…ever. I found you on Pat Flynn’s podcast and am totally hooked on your writing style. I appreciate you updating your blog as often as you do. this is a unique time for us all as internet marketers to learn from you. “Discovered” you through SPI blog podcast and have learned a lot so far. As a newbie to niche marketing and IM in general, my aim to shoot for is 3k a month income. Do you think this is possible? This is completely out of context of this blog post but thought it would be better to post it on the recent blog post. I don’t know why everyone looks at local monthly searches. In Adwords, under the Columns menu button, there is a field called Google Search Network. That column’s figure gives the number of people searching the keyword on Google Search Network for the targeted country. Shouldn’t we be looking at that figure instead of local monthly searches? In case of some keywords the figures are different. I like to look at Google Search Network column figures. Definitely another niche website would be welcome. Thank you for the great information. I do listen to Michael Hyatt’s podcast. I’ve just started listening a couple of months ago, so I’m still catching up. He has some interesting stuff, but even with the big promotion he was doing some time back, this book was never on my reading list. I would love to see you and Pat Flynn competing with one another. Anyway, you seem to be close to accomplishing most of your goals this year, so congrats, Spencer. I would rather see and follow your participation in Pat Flynn’s Niche Site Duel 2.0, It would definitely be exciting. Good job on the article, Spencer. Riza – I’ve had to edit the last few of your comments. I’m deleting your advertising to your site from your comments. If you continue to advertise your website in your comments, I will just start deleting your comments completely. I would agree with the assessment of Platform University and the book. I was a member for several months of his membership, read the book and receive the newsletter. Think it is a bit overrated and lukewarm for the value that is promised. Kind of a random question here Spencer. Have you also noticed on your sites that visitors coming through Bing, Yahoo and all these other smaller search engines have a much longer dwell time than visitors coming from Google? I’m noticing it on all my sites and I’m wondering if there is a more universal explanation for it, or if it is only something I’m experiencing. Mate write back if you feel you didn’t do anything wrong but you may have very less chance. Great information and thoughts to keep earning from Niche websites. Just signing for affiliate of Easy Azon Affiliate after the recommendation. For your next project why not do a combination of AdSense, affiliate links, Amazon and private advertising. For the affiliate links, you could outline the procedure you use for choosing an affiliate partner and selecting the private advertisers, inclding the terms and the amounts you can earn. As for your VA, you could provide the entire process of selection: how you found the VA and how well he/she works per your directions. I would also like to see more information on using images, not only the ones provided by manufacturers, but stuff that you develop on your own. I’m tossing my hat into the ring here and vote for you choosing a big ticket item that has a low search volume that you can beef up quickly like you did for your survival knife guide site. Whatever you decide, you can be sure I’ll be watching and learned. Kudos! Nowadays Google seems to give higher score to website that connect to G+ profile authorship. I am thinking if creating a virtual persona is a good idea or not. As well as creating a niche site, I also created a virtual person that have some social media activities. Yes, this may increase the maintenance time of each niche site, it do create higher quality of site in my point of view. And it seems that higher quality site with more income per site is the trend. Also, if I hit the great market I can easily build the site bigger and generate more too. How do you think about this point?